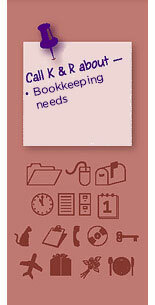 K & R Services Unlimited offers customized services & packages for your needs. K & R Services Unlimited directly. For credit card payments we accept Mastercard and Visa.